We want to tell you about one of our new online resources here at the Knowlton Center. In addition to enjoying our one-on-one career appointments, peer advisors, and career labs, we now have available a YouTube-esque video platform that allows students to explore career paths through informational interviews with professionals. The platform is CandidCareer. Access the platform here at https://www.candidcareer.com/Denison! 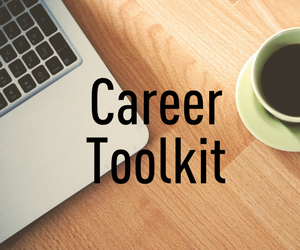 CandidCareer has a library of career-specific informational interviews with industry professionals. This is an excellent way to explore the field that you hope to enter. You are able to learn information about jobs directly from those who work them, and there are a lot of jobs represented too! CandidCareer has hundreds of videos available. In addition to job specific interviews, CandidCareer also has a library of videos to help with anything career related. Need tips on writing a cover letter? Done. Need tips on creating a great LinkedIn profile? Done. Even if you aren’t looking for anything specific exploring through CandidCareer is an excellent source to peruse as you start gearing down for interviews and careers after Denison. So if you want an edge on your job search and to learn reliable information about the process at any time, check out Candid Career!